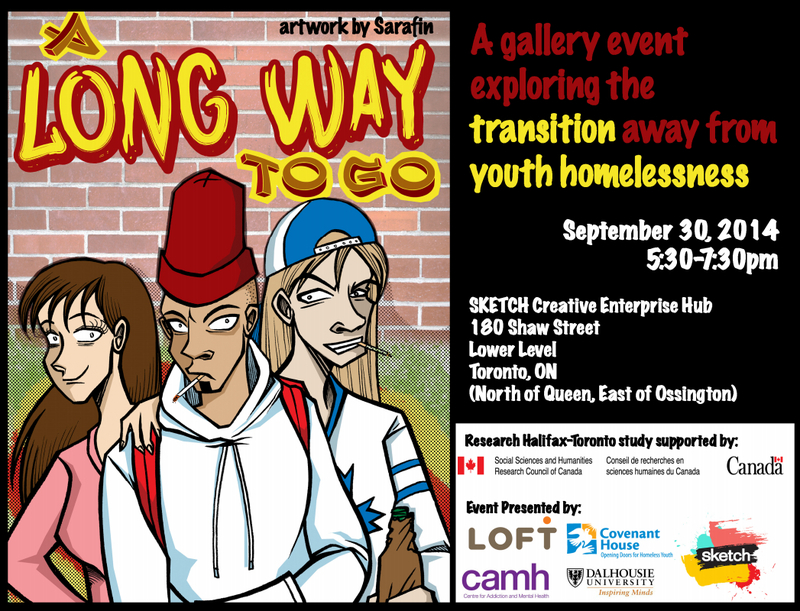 On September 30th, potential solutions to youth homelessness will be explored at Long Way To Go, a CAMH event in collaboration with LOFT, Covenant House, and SKETCH. It’s a chance for youth, policy makers, researchers and practice leaders to discuss solutions and challenges in relation to youth transitioning out of homelessness. It will also be a launching pad for new research done in collaboration with the University of Toronto and Dalhousie University in Halifax about possible solutions and opportunities for youth to transition out of homelessness.